Protecting our belonging is what my parents always remind me and my siblings while growing up. I'm thankful for that wisdom as we carry it while growing up. We don't have much during our childhood days of our parents would rather give us the important necessities and even though we acquire some things from them during special days, this item was very much valued up to now. So, now that I have my own family, I would like to take care of the things we acquire in order to pass it on to someone who need it the most or to sell them if we have too and yet the item still in great condition. On our second child, we pretty have much, everything we need. Another boy in the family is I say easiest and saves us lots of money because of the hand down from our oldest. The only thing we could not salvage was the mattress, for some reason even when we cover it the moisture from the basement just destroyed the whole thing. And so we bought a new one, I'd like to have the mattress longer as our infant can use this until he would not longer fit in the crib, lol. 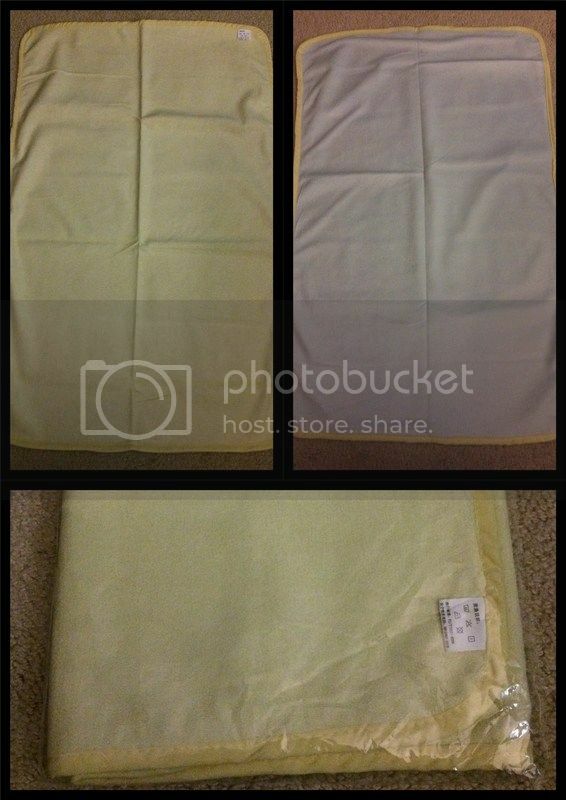 So I'm thankful that I'm having the chance to acquire a Baby Waterproof Mattress Protector Pad and review the product. It arrives in the mail through the USPS, no damage in shipping. It was very simple, I love the color I picked and because we can't predict the future. I got a unisex color just to be safe. Yellow is one of my favorite and it looks neat on the mattress. I like how soft it is which makes me feel comfortable as it won't hurt my infant's skin. Very cozy, lightweight, I can use it on his crib or on our bed whenever it is a snuggle time. The product arrived in the mail through the USPS. No signs of ripped or damage that I was able to use it towards my son's crib right away. The pad is very lightweight, something I want to have. It is easy to slip on and off the mattress whenever it needs to be washed. Big enough that would cover the standard crib mattress and waterproof is working. It also feels cozy and not warm, just perfect for warm weather. Interested? You can check out the product more HERE. That is one essential for babies that every Moms must have. I still put diaper on my toddler when he sleeps. I should buy this and train him to be diaper free. This is really nice. I wish I had this when my kids were babies. Saves your mattress from getting wet all the time. This is a very cool product to keep the handsome C dry so he will have a good night sleep. Sayang, wala pa nyan during those our 'baby problem' years. This is a must for parents. That Baby Waterproof Mattress Protector Pad will certainly serve you well. You're lucky to have received a free product that has practical value in your home.